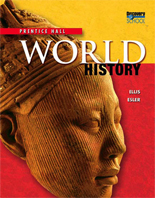 Pearson is excited to announce its NEW World History program! The program invites students to truly experience the scope and impact of history through engaging stories from some of the most compelling and eventful times in the history of our world. 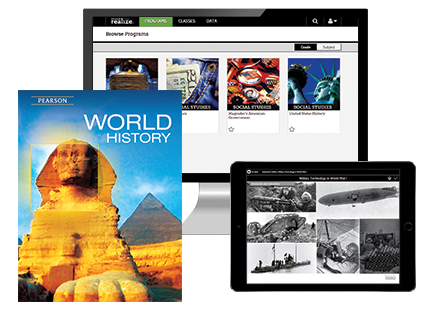 The program bridges time-tested best practices, curriculum standard expectations, and technology to help prepare students to be college and career ready all while bringing world history to life. Available in print, digital, and blended options. Pearson’s World History program uses a research tested, four-part learning model to enhance teaching and understanding. Demonstrate Students demonstrate their understanding through variety of authentic, formative, and summative assessments.